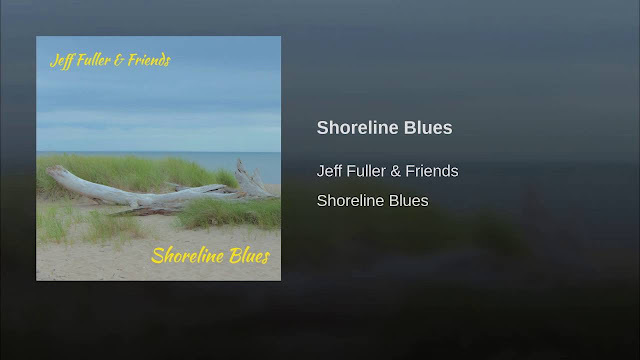 Objectively, Shoreline Blues is the type of modestly played jazz that you might hear at a charity event or a small neighborhood club. The musicians might be local guys who have been playing together since they were young, so they play together seamlessly. They're not part of the vanguard, they're not blazing any new trails, but they're the right performers for the right time. That might sound dismissive. I've heard a lot of jazz this year that really broadened my horizons, from the melancholy textures and images evoked in Jane Ira Bloom's Early Americans to the wild celebration of sheer energy in Todd Hunter's Eat, Drink, Play. Bassist Jeff Fuller and his friends--pianist Darren Litzie and drummer Ben Bilello--aren't blazing those storied trails, but they do play expertly, with plenty of precision and detail and clarity. As the liner notes declare, the trio was formed "to perform new, original music which re-invents timeless jazz styles with new vision and creativity." And someone was paid to write those words. But here's why I don't want to be dismissive about Shoreline Blues: it's beautifully played and beautifully recorded. 2016 has been such a year of discovery for me in terms of music, and it's incredibly easy to overlook such a simple pleasure as a well-practiced jazz trio hitting all the right notes. As I've mentioned, Fuller is the bass player. He's also the front man. This is his band. So this recording winds up being a primer on how to make that instrument the driving force, the real star. Fuller's playing is rich, thoughtful and deft without being showy--he's a bassist's bassist. That doesn't mean Litzie and Bilello are wallflowers since both musicians have a light, playful and quick touch. They just use their leader as an anchor, weaving in and out of these tunes (most of them are composed by Fuller, with a few scattered tunes from Sonny Rollins and Charlie Parker) and allowing the boss to improvise freely. Fuller deserves even more kudos for producing this recording himself--it's clear he knows his way around a recording studio. 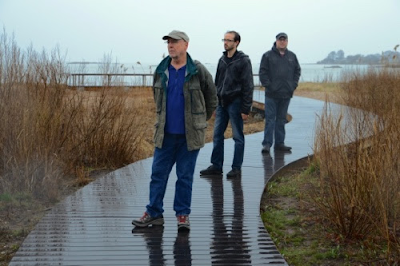 Shoreline Blues has a clear, spacious sound that is very natural and realistic. Right now it's playing in the other room and it doesn't take much to trick my mind into believe these three gents are in there, playing a casual set for a knowing and appreciative audience. It was difficult to miss last week's Rocky Mountain Audio Fest--I've attended the last ten years in a row and exhibited the last five. But I had a chance to attend the TAVES Show in Toronto instead, and I've always wanted to attend either this show or the one in Montreal in the spring. I'll be assisting Vince Scalzitti of Tri-Cell Enterprises, the Opera and Unison Research distributor up north, as well as my brother Bartolomeo Nasta straight from the factory outside of Treviso, Italy, run the Tri-Cell room at the show. I do have quite a few Canadian audiophile pals out there, so I hope I get to meet a few of them in person. 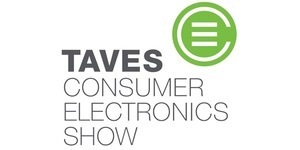 TAVES will be held October 28-30 at Sheraton Parkway Toronto North & Best Western Hotels, 600 Highway 7 East, Richmond Hill, ON L4B 1B2. Telephone number is (905) 881-2121. You can find out more info here. My latest music review for Positive Feedback Online is now live. 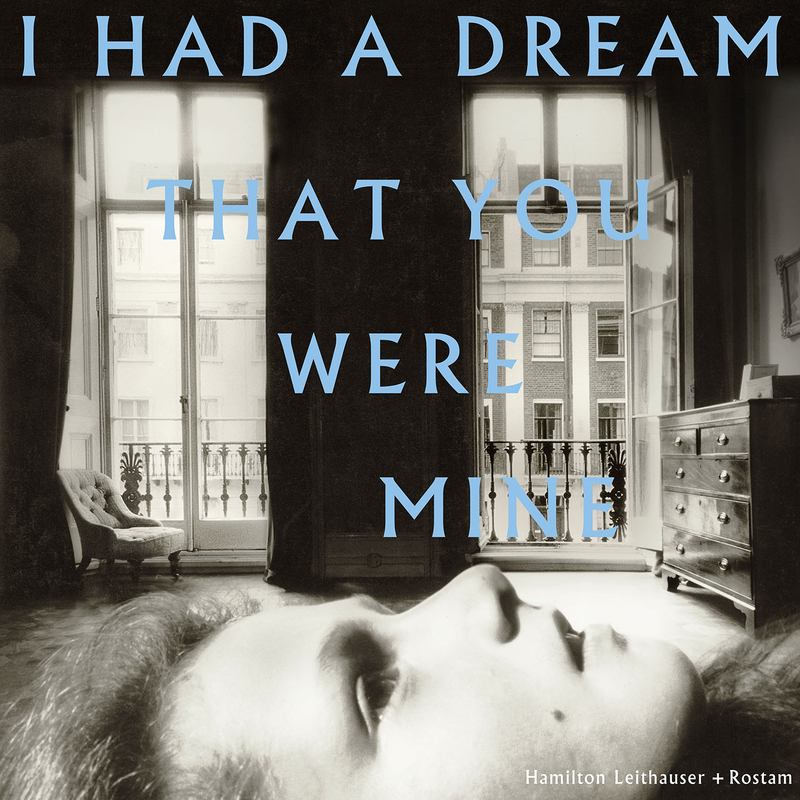 This one is the absolutely great pop album from Hamilton Leithauser + Rostam...I Had a Dream That You Were Mine. You can read it here. It was a tad difficult to wrap my head around this CD--not music-wise, of course, but title-wise. Is Sonus Inenarrabilis the name of the group, or is Nine Live? Who is the guy holding the French horn on the cover? Is that John Clark? Is it okay to name your record label Mulatta in the PC age? It even took a bit to make sense of "Nine Live"--is there supposed to be an s at the end? Oh wait, maybe that's the name of the ensemble, nine people playing live. Ah. It's starting to become clear. 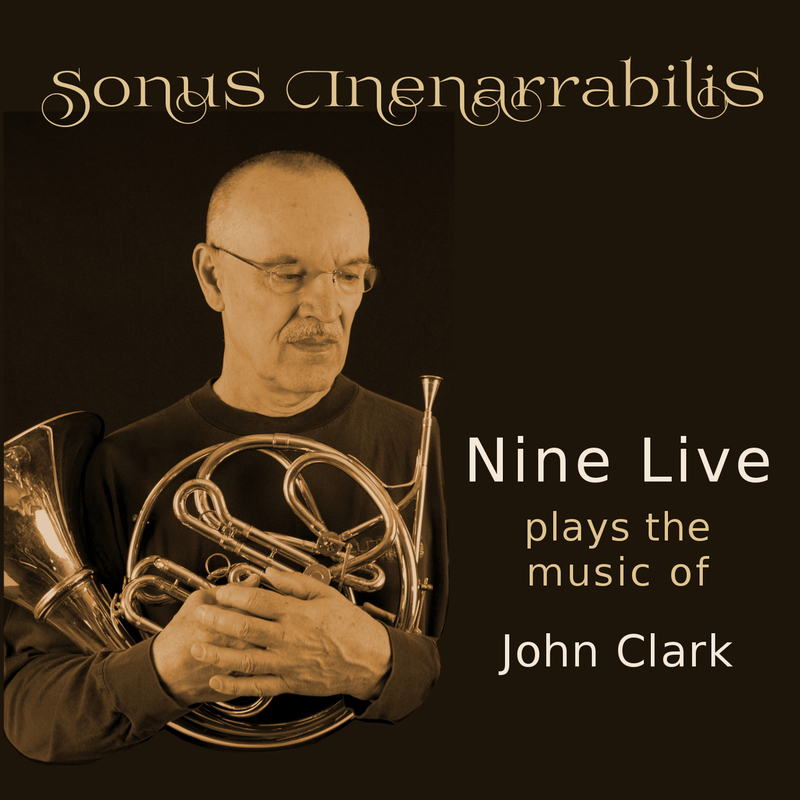 The name of the album is, indeed Sonus Inenarrabilis, performed by a jazz nonet and featuring music written by the horn player on the cover, John Clark. I hate to seem like I'm fussy about all this. It's just that in judging this CD by its cover (and title), I made some assumptions such as this is a very small label with very limited production budget putting out the kind of CD Nine Lives sells at the back of the club after a gig. I'm not biased against such releases--everyone has to start somewhere, and I've been guilty more than once of buying someone's CD after a live show. It's just that my expectations are usually somewhat low in these instances--the production values are probably minimalist at best considering studio time can be quite expensive, especially when nine musicians are involved. After a perfunctory first listen, I realized just how wrong I was. Have you ever seen a hi-fi component that comes in a rather plain black box that turns out to be a great performer, and the manufacturer then comments that "we put all the good stuff on the inside, where it counts"? On Sonus Inenarrabilis, all the good stuff is definitely on the inside. First, the choice of instrumentation is fairly novel for a jazz nonet--clarinet, violin, horn, 7-string electric bass, cello, viola, drums, bassoon and keyboards, all held together by conductor Thomas Carlo Bo. That allows Nine Lives to slide around in the space between genres, moving surreptitiously through jazz, blues, fusion and funk as a well-tuned small orchestra--imagine a Lalo Schifrin score from the mid '70s and you'll understand the vibe. In other words, this is not a recording of a horn player sitting in a chair, playing old Scarlatti pieces. That's not to say this music is odd or exotic in the same ways as Black Paintings, which I reviewed last week. It's not hard to imagine this music as the soundtrack from a '70s movie, a pretty good one at that, with a slightly dated sound that's completely on purpose. (This idea popped in my mind because I watched The French Connection the other night and I've always had very mixed feelings about the harsh, atonal jazz score until now--I love it.) I'm going to go out on a limb and guess that the clean, compact delivery of John Clark's compositions is totally intentional, evoking that same sense of perhaps a B-movie score that outclasses the B-movie it's in. The kicker is this: the sound quality of this modest little CD is absolutely superb. There's a forward and immediate presentation here that excels at separating each performance so that you can follow individual performers with ease without losing sight of the whole. Dan Cooper, who co-founded the ensemble with John Clark, provides such a solid foundation with his 7-string bass guitar--it's always there, offering full, warm and rich support of his fellow performers. Drummer Cesare Papetti, on the other end of the frequency range, offers plenty of delicate shimmering highs with his splendid cymbal and hi-hat work. Everyone else in between is on the money--these are mostly NYC session performers who are the epitome of professionalism. As far as Mulatta Records is concerned, it has a hell of a pedigree. 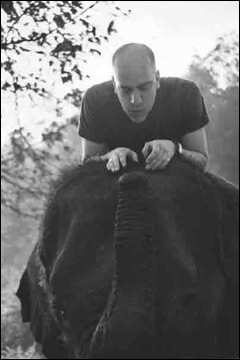 Dave Soldier, who produced this album and is responsible for getting these nine performers in the studio at once, co-founded the label in 2000 with Nigerian record producer Ayo Osinibi. Soldier has had a very interesting career as a composer and performer on his own. Even the motto of Mulatta is "purveyors of the unique and bizarre," which seems at odds with the very low-profile cover. But Sonus Inenarrabilis makes much more sense when you just place the CD in your player and forget about the rest. I had to work up to this one. This is, for all intents and purposes, as heavy as it gets for me. 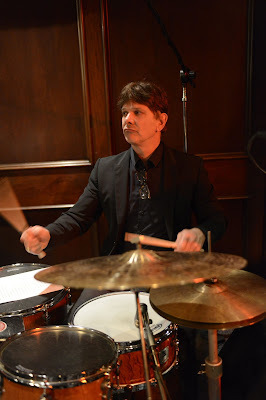 Michael Rafferty, my smoking buddy and drummer for Fall of Humanity, warned me about his CD, saying that a few tracks were pretty heavy--which probably meant that a 54-year-old like me might get whiplash from listening to it. I found Mike's band to be a pretty solid modern metal band, not too much for my aging ears. When I reviewed We the Wild's CD a few weeks ago, I may have been a bit too rough on them for their rather formulaic lyrical style--that oft-copied juxtaposition of the angry howl and the backing harmonies designed specifically for shouting in a large arena. I didn't find the growling too "heavy" as much as I objected to that type of vocals being an easy way out for singers who can actually sing. Thoughts in Reverse makes all of that sound like Tiny Tim singing "Tiptoe Through the Tulips" on Laugh-In. On an old black-and-white Zenith. Back in the '60s. You want heavy? This album is rusty-garbage-can-full-of-mercury heavy. After listening to these six slices of precise yet baleful doom, I felt like I had a case of the cold sweats. I was so discombobulated that I listened to the new Norah Jones album immediately afterward just to get my bearings back, and I don't like Norah Jones. ("Get high/take flight"? Really?) In fact, I may have hurt my head a little after listening to Thoughts in Reverse. It might be permanent. I can't even imagine listening to this on headphones. That's far too close. All right, I'm exaggerating. I'm not that wimpy about this kind of music. Just recently I listened to Napalm Death's highly acclaimed 2015 anthology Apex Predator--Easy Meat and found it a lot of fun. I'm not afraid of a wall of sound. In fact, I kind of like being swept away by tidal waves of pure noise. 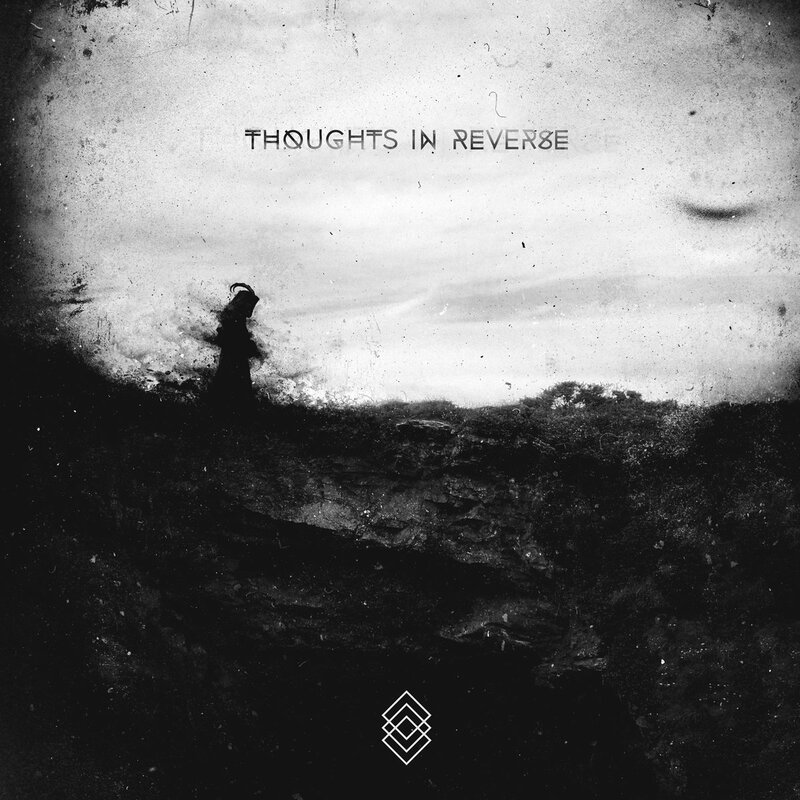 I'm also not saying that Thoughts in Reverse is the heaviest music in the world--I once heard a band in Austin that played so loud that it drove everyone in the club out into the street until the manager literally pulled the plug. But it's the heaviest music I want to listen to. If there's heavier, I'm okay with not hearing it. This album came from Ulf Oesterle from Aux Records here in Syracuse. He and Jenn Bort from bettyElm records came in a few months ago and so far everything I've reviewed from the pair was from Jenn. I did sample everything from their pile or records after they left, and when I got to this one I said "Holy crap, wow...that's intense." I didn't know back then how I was going to approach it. But here I am, months later, attempting to do just that. I'll say the following nice things. I love the colored vinyl. The pressing is clean and the sound quality is first-rate, especially for an indie label. (I've been very impressed with the bettyElm pressings I've received, and Aux seems to have the same high standards for their vinyl.) And while I can't quite don my reviewer's hat and talk about Thoughts in Reverse with a modicum of intelligence, I will say that I'm grateful to have it here--the next time someone tries to tell me that some piece of music is "heavy," I'll put this on and say "Heavier than this? I didn't think so." For many audiophiles, there's nothing like the sound of a big pipe organ in a big church. That's the traditional test for full range speakers--can they produce that famous 16 Hz tone from a 32' pipe? There's no other acoustic musical instrument that has that wide of a frequency response, or at least none I'm aware of, and there's no other instrument that can naturally produce such a huge sound field since the pipes take up so much physical space. 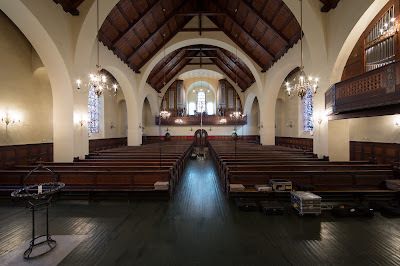 It's quite an experience to sit in an old church and hear one of the world's great pipe organs create tones that seem to come at you from all directions. Recreating that immense space in a recording is one of those Holy Grails for high-end audio. That said, I'm kind of indifferent about the pipe organ as a musical instrument. I have audiophile friends who absolutely adore it and I can totally understand why--it creates such a singularly impressive sound. It's a veritable goose-bump machine. And I get that--I have a few Virgil Fox LPs at home and I like to trot them out once in a while to wow my buddies. But for me, true pipe organ music tends to fit into two categories--the spooky and the sacred. In my opinion, that limits its appeal. For an instrument that such an enormous frequency response, it's a shame that I feel that way. Leave it to 2L Recordings in Norway to change my mind. 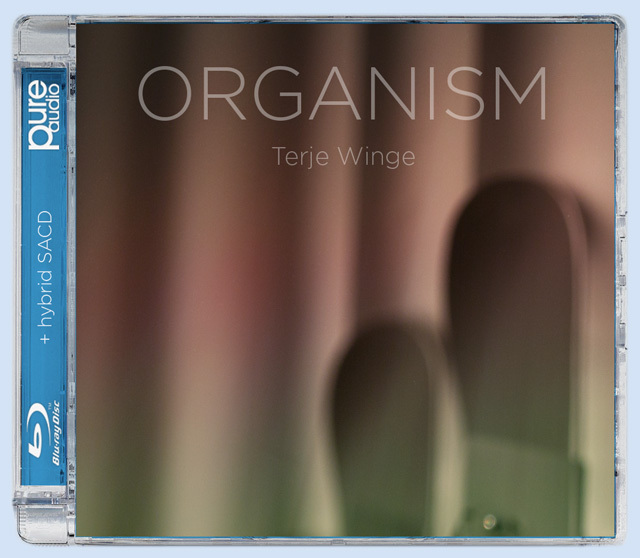 Their latest release on CD and Blu-ray audio, Organism, features three unique pipe organ pieces from composers Kjell Mork Karlsen, Trygve Madsen and Kjell Flem, all performed by Terje Winge--the Professor of Organ at the Norwegian Academy of Music. 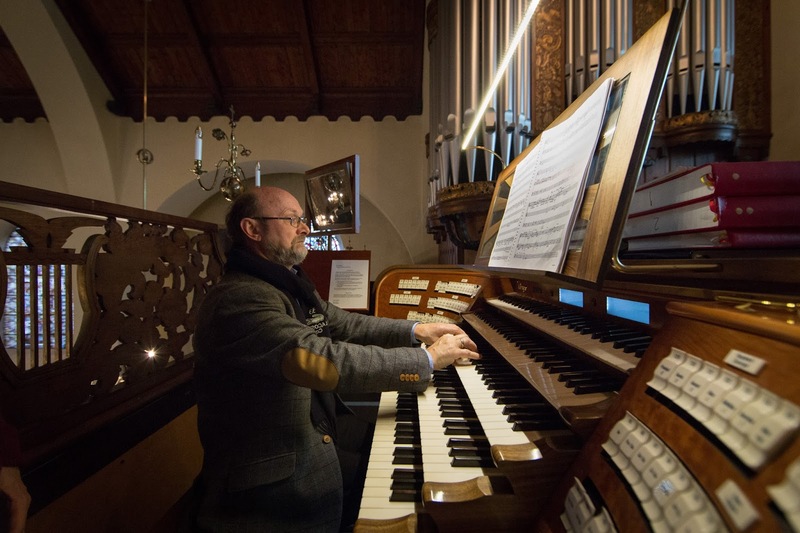 These composers have obviously been informed by the sacred side of the pipe organ canon, with specific references made to Gregorian chants and the Lutheran chorale traditions. And a significant portion of this album sounds like the type of pipe organ you would typically hear in a church, albeit a Scandinavian one (in this instance, the Alesund Church in Norway). But there are moments, especially in the quieter passages, where the music launches on a secular tangent and starts evoking feelings and visuals far outside of the Christian liturgy. The air traveling through those pipes meander and crawl around the room and start to dig in with prying fingers--sadness, despair, unease and worry. These emotions aren't necessarily alien to the ideas behind the hymnal, but it's odd to let your mind wander in and out of these notes, out the door and into mysterious and troublesome landscapes where anything can happen. That sounds a bit fanciful, but that's my reaction to this strange and haunting organ music. It took my mind to places where it hasn't been before and definitely engaged me in an unprecedented way. It's so easy to become lost in these gigantic sounds, to ride a roller coaster of dynamics and find yourself alternately soothed and excited by what you hear. I couldn't imagine being at a church service and hearing these pieces played. What the hell kind of church is this? On top of all that, you have Morten Lindberg of 2L performing his magic. As I mentioned in my review of TrondheimSolistene's Reflections last week, 2L has upped the ante for recording techniques, using Dolby Atmos in conjunction with Auro-3D surround for the Blu-ray disc. In other words, the recording Organism will envelop you in exactly the same way as the actual recording in the church. If you're the type of audiophile who's looking for that big pipe organ recording to really wow your buddies, this is it. But if you're like me, looking for an emotional entry point into this fascinating musical instrument, you'll be really, really surprised by Organism. 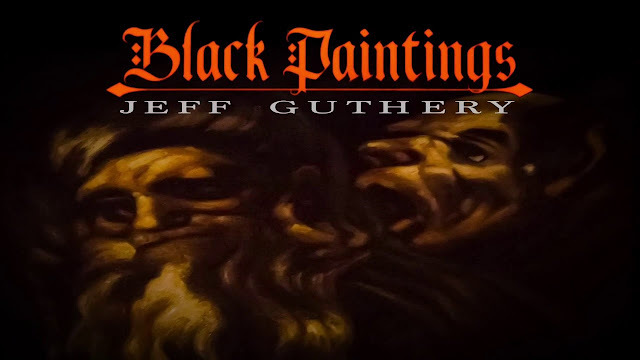 At some point during your first listen to Jeff Guthery's Black Paintings, you'll ask yourself "What kind of album is this?" You won't ask what type of music it is, because you'll get that answer one track at a time--full orchestral music, free jazz, string quartet, world music and wait, was that an electric guitar solo I just heard? If anything, Black Paintings almost resembles a soundtrack album for a movie--you get the main orchestral score with frequent leaps into different genres. But these nine tracks are meant to work together as a whole, not as some cobbled-together background narrative. This shape-shifter of an album, composed by percussionist Guthery, is designed as a soundtrack of sorts--each piece is influenced by one of Francisco Goya's Black Paintings. These 14 works, painted on the walls of a villa in Madrid, were the result of Goya's extreme paranoia after chronic illness, deafness, war, the death of his wife and finally his "falling out of favor" with the Spanish monarchy. In other words, these are portraits of madness. Goya never spoke of these paintings, completed just before the end of the 18th century, since they were completed in a private residence. The existence of the Black Paintings was not discovered by the public for 50 years, and their first public exhibition--they were lifted to canvas by the owner of the villa--did not occur until 1878. As you might guess, Black Paintings isn't made for casual listening. I had it playing in the background for the first couple of listens and found it distracting, schizophrenic and uneven. At the same time I found the sound quality to be dynamically forceful and extremely impressive. I was particularly intrigued with the wide open soundstaging that allowed for effortless transitions between the full power of the East Coast Scoring Orchestra and the jazz quartet improvisations (performed by pianist Kenny Werner, saxophonist George Garzone, bassist Bruno Raberg and Guthery on drums). In many ways this is an outstanding demo disc as long as you stick with the orchestra pieces and beware of the sustained chaos of the free jazz. What's ultimately so fascinating about this album is on Guthery's noble attempt to translate "a distinct set of visual art into aural art." I've made a couple of passing references to the language of film, and this is a deliberate goal for Guthery. The liner notes mention that "The music is majestically cinematic(...)the camera closing in tightly, pulling back, panning, fading and cutting in its imagery." So studying the included material and reviewing the history brings an uncommon depth to this album, and added appreciation.